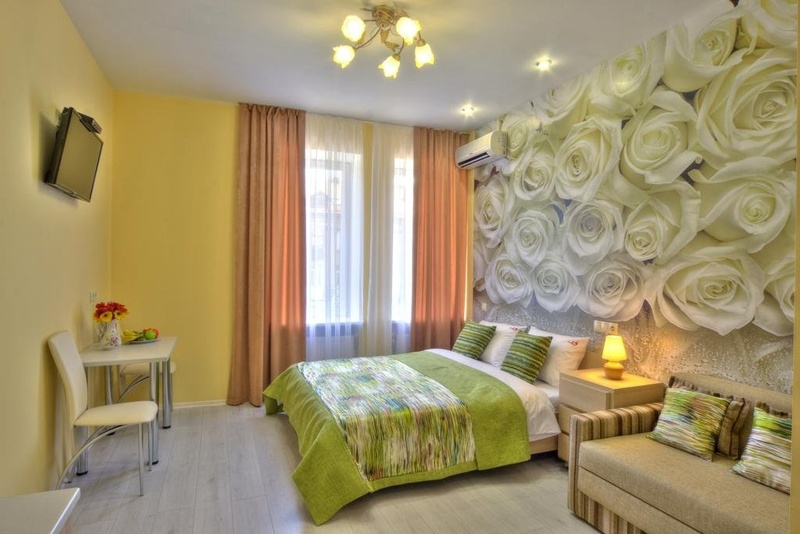 Situated in Kiev- this aparthotel is within a 10-minute walk of Taras Shevchenko National University of Kiev- Museum of Western and Oriental Art- and A.V. Fomin Botanical Garden. Taras Shevchenko University Astronomical Observatory and St. Volodymyr's Cathedral are also within 10 minutes. Kiev Passajirskii Station is 24 minutes by foot. Botanical Garden nearby. Near botanical gardens. Close to city centre. Good accommodation. Close to the city center and public transportation. Friendly welcome. Extraordinary staff. Cleaning good standard. Dirty halls. Dirty Blanket. Dirty towels. A/C was working. Plenty of hot water. Worn out towels. Quiet environment. Noisy floors. Minimum kitchen utensils. Internet connection not working. No Wi-Fi internet. Slow internet. Limited choice for breakfast. No breakfast. Noisy floors. Lack of meeting place. No lobby.